The air around us is filled with waves of electromagnetic energy produced by telecommunication networks, satellite navigation systems, radio antennas, and mobile phone networks. Now a team from Georgia Tech’s School of Electrical and Computer Engineering has developed a new device that is capable of harnessing this ambient energy and using it to power wireless sensors, computer processors, and other electronic devices. 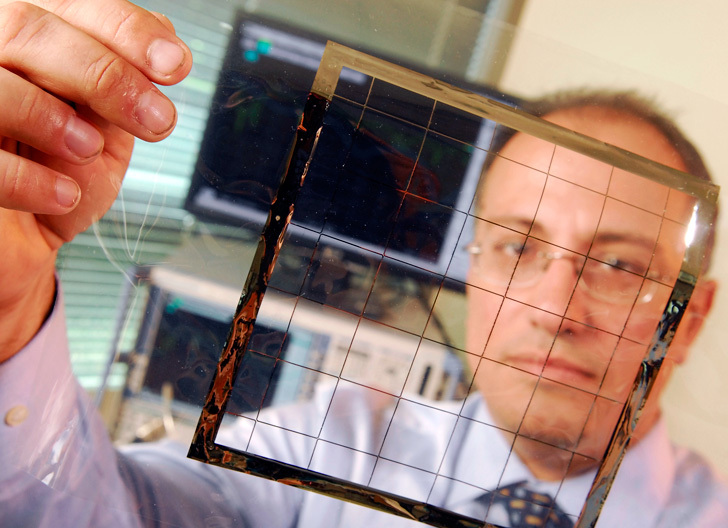 Lead researcher Manos Tentzeris and his team have used inkjet printers to create “energy-snaring” sensors and antennas on paper and flexible polymers. The team unveiled their research at the IEEE Antennas and Propagation Symposium in Spokane, Washington. The research was sponsored by several major organisations including the National Science Foundation, the Federal Highway Administration and Japan’s New Energy and Industrial Technology Development Organization (NEDO). Any frequency ranging from 100 megahertz (MHz) to 15 gigahertz (GHz) or higher contains a significant amount of energy, so it is possible that the team’s technology could soon be used to capture energy to be storied in capacitors and batteries for future use. While the amount of energy scavenged won’t power your microwave, energy from TV transmissions could amount to hundreds of microwatts – enough to operate smaller handheld electrical devices, like your TV remote! sir, by using this ultra wide band antenna how much energy your team would be able to capture?? are you using rectenna?? Remember the old AM crystal radio kits? Same concept. The air around us is filled with waves of electromagnetic energy produced by telecommunication networks, satellite navigation systems, radio antennas, and mobile phone networks. Now a team from Georgia Tech's School of Electrical and Computer Engineering has developed a new device that is capable of harnessing this ambient energy and using it to power wireless sensors, computer processors, and other electronic devices. 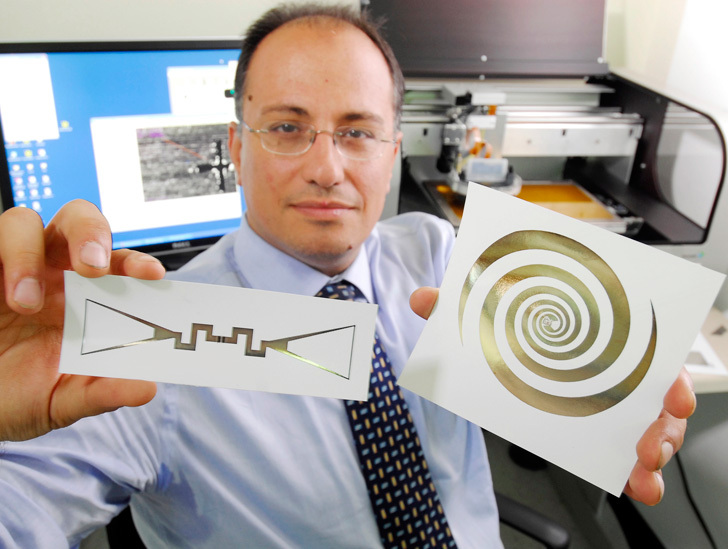 Lead researcher Manos Tentzeris and his team have used inkjet printers to create "energy-snaring" sensors and antennas on paper and flexible polymers.